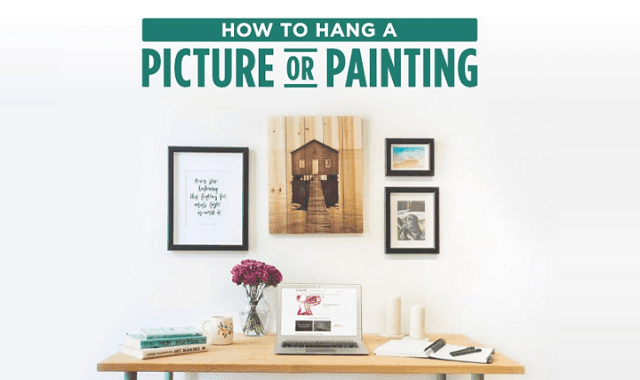 How to Hang a Picture or Painting #Infographic ~ Visualistan '+g+"
Searching for the perfect work of art to complete an interior space can seem like a project on its own, but once that new painting or photograph has been selected, the real fun begins. Hanging a photo requires a lot more than just picking a spot on the wall, which is why we broke it down into a few easy steps and created a handy infographic. Before getting into the decorative elements, including tips for creating a gallery wall, let’s go over the basics.